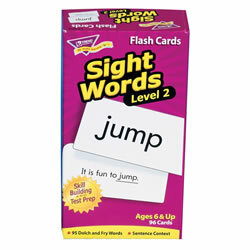 Help children expand their vocabulary and recognize common words with our collection of leveled flash cards. 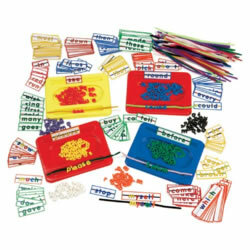 Products also include sight word string ups, manipulatives, and activity sets. Grades K & up. 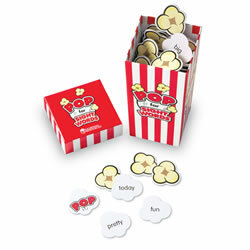 Enjoy two great games in one since each side of the double-sided answer mat features a different skill. 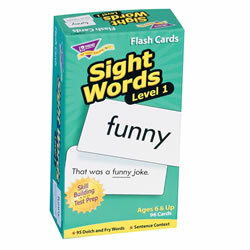 Build instant word recognition with the two unique word sets included within. 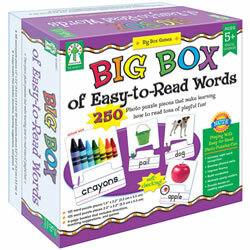 Perfect for use with the entire class or just small-group instruction. 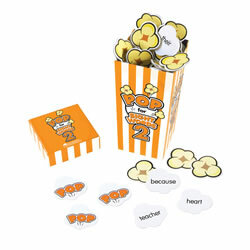 Included are 36 double-sided game cards, 720 tokens, 100 calling cards, a double-sided answer mat, and a game guide. 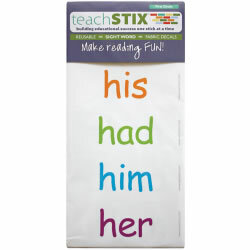 Supports NCTE standards. 3 years & up. 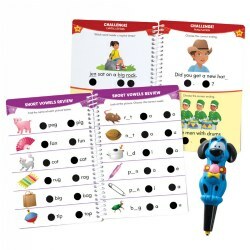 Children add 8 new words to their repertoire, and review previously taught words. 3 years & up. 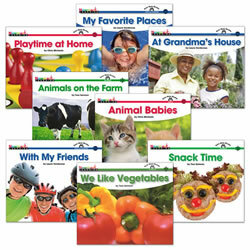 Children learn 10 simple sight words as they practice basic concepts of print. PreK - Grade 1. 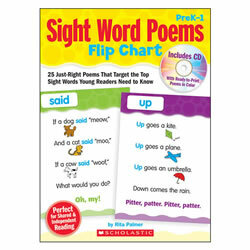 Laminated flip chart features 25 just right poems that target the top sight words young readers need to know. 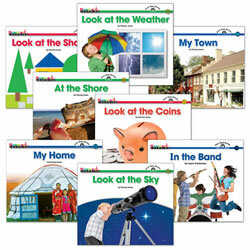 Perfect for shared and independent reading. Includes CD with ready-to-print poems in color. 3 years & up. 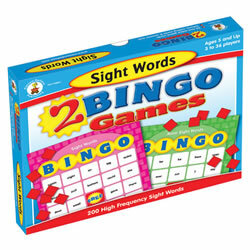 Children learn 6 new words, bringing their total sight word vocabulary to 24 key foundational words! Grades K - 3. 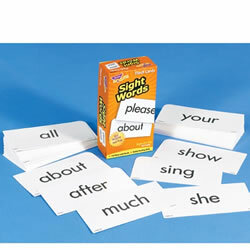 A complete reading resource for building sight word mastery. 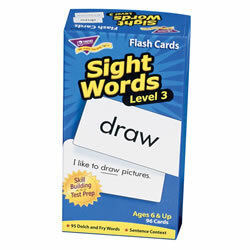 With over 300 activities to introduce, reinforce, remediate, and practice Dolch sight words, it is a must-have for any young or special learning classroom. 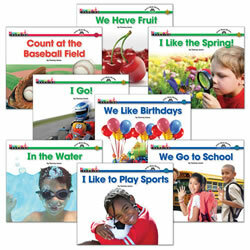 It also includes assessment suggestions and fun take-home activities! 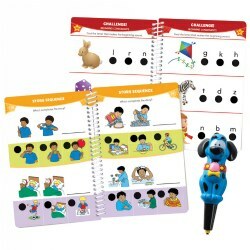 Key Education products are intended to engage and educate young and special learners, as well as assist teachers in building a strong and developmentally appropriate curriculum for these children. 384 pages. PreK - Grade 1. 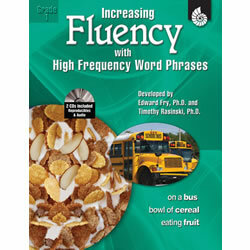 Jumpstart reading success with this collection of 125 little books that introduce and reinforce the first 50 must know sight words. 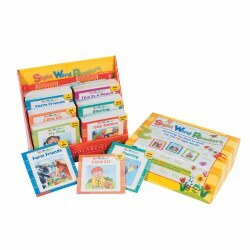 Each set includes a sturdy storage box fill with 5 copies of 25 delightful tales along with a 128 page teaching guide. Paperback.